What are some basic tips for people who provide spiritual or healing services to reflect a fun, sacred, zen-like atmosphere to spaces/venues that are already designed? This is a situation that many face: how to create a holistic space with what you have. It’s a little like life, right? We come into this world with our cultural and environmental conditioning and limitations. My teachers would say that if you’re born a Honda you’ll never be a Mercedes, but you can be the best Honda you can be! Similarly, we can work with what we’re given. Most feng shui is remedial - we make adjustments after the fact. With my clients I actually incorporate feng shui into the architectural design. But not everyone has that luxury or foresight. My first suggestion is space clearing. In feng shui we use different rituals involving mantras, sometimes rice, sometimes oranges and others. If you want to do this yourself I recommend getting some orange essential oil and placing 9 drops in a bowl of water. With this bowl, walk around clockwise from the entrance sprinkling the essence throughout the space. Lately I’ve also been burning palo santo, a Peruvian wood used to smudge (or clear) a space. Remember when you clear a space, always put positive energy back in. Second, use the commanding position to layout the most important areas in your space. For a spiritual or healing provider, this may be your desk or the position in which a client receives your services. The commanding position locates us in an advantageous place so we can feel relaxed and in control of our environment. This position is that which is furthest back from the door, while not in line with or behind the swing of the door. Third, use the five elements to create a balanced and harmonious space. 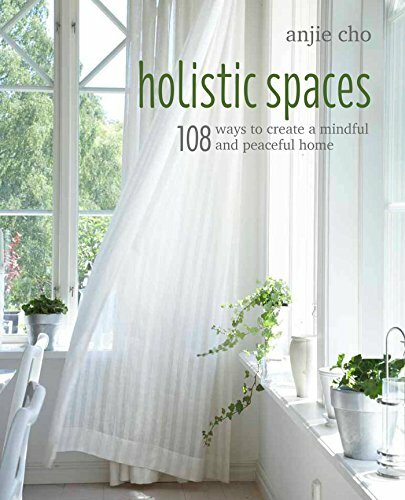 Take a look at this previous Holistic Spaces blog article or explore our five elements series on the Holistic Spaces podcast. Finally, for a healing and zen-like space be sure to have some green plants. Use non-toxic cleaning products and add fresh flowers when possible. The plants not only improve the indoor air quality, they add life energy to the space. Plants promote kindness and flexibility. Fragrant fresh flowers bring joy and improve energy flow. There is also something my teachers call “method of minor additions” which involve the use of feng shui adjustment objects such as crystals, mirrors, windchimes, colors, etc. Unfortunately that’s where the feng shui expert comes in. This depends on the particular location, situation, and person. Good luck with your space, and kudos to you for providing such beautiful services to help others.